We make your brand stand out! We have thousands of high-quality wearables and promotional products for you to choose from. Need ideas? Looking for unique items for a tradeshow or as a giveaway? Need a corporate gift? We have over 500,000 products in our database. We have created custom printed products for almost every industry, so we’re confident we can help find the perfect product for your company logo or event! Whether you’re looking to uniform your staff in quality, classic polos or get the team ready for the season: Swag Promo is here to help you choose the best product for your particular needs. In addition to being proud carriers of the classics, we offer a wide range of fashion forward apparel options to add value to your brand. We help you find the perfect promotional products for your specific needs. 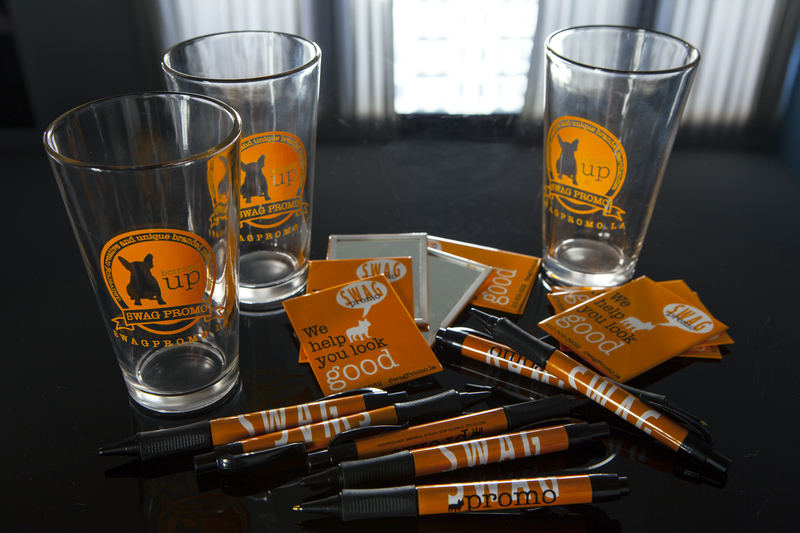 Contact us today and we’ll help you get started on your search for the best drinkware, pens, giveaways and more. Your one stop shop in the heart of L.A.